The summer months are always an exciting time of the year for mineral lovers as the Dallas Mineral Collecting Symposium opens its doors on August 19th – 21st. Learning about fine minerals has never been so engaging. This year’s Symposium will be larger than ever before as the Arkenstone and other sponsors welcome world-renowned speakers and hosts some of the finest exhibits in the region. 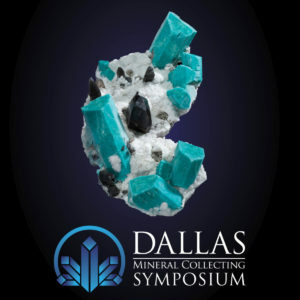 Registration for the Dallas Mineral Collecting Symposium is open now and throughout the event! Attending a Symposium is a great way to learn more about the latest rare rock and mineral with presentations from experts in the field. Presentations are led by scholars, collectors, and world-renowned geologists as they discuss their latest field work and findings. Most symposiums also host exhibits to show some off the latest collections of rare rocks and minerals. Lectures will be held Saturday, August 20th at the Eisemann Center across the Renaissance Hotel. Rockhounds who are new to the community will also want to attend the many social events held throughout the Symposium. From dinners and social cocktails to open museums, rockhounds from around the world attend symposiums as the perfect opportunity to meet other enthusiasts. The Perot Museum on 2201 N. Field Street, Dallas, Texas will be offering tickets to see the many fine exhibits at the museum throughout the Symposium event. Many of the exhibits will be loaned from collectors attending the Symposium. The Arkenstone will also be hosting an open house, exclusive to 200 invited guests on Friday evening. The Arkenstone Gallery is opening its doors from 9AM – 1PM for coffee and bagels! Attend the gallery early for a chance to examine our fine rare rock and mineral collections or purchase a new piece for your own. The Perot Museum will also be open from noon – 5PM. Monday will be the last day of the Symposium event and the Perot Museum will be open from 10AM – 5PM. The Arkenstone is also hosting a private tour of the many local collections in Dallas, Texas. This event is now full. We hope you’ll join us at this year’s Dallas Mineral Collecting Symposium at the Eisemann Center! Registration for the symposium is open now and throughout the event. Some spots for the tour and the many other events are on a first-come basis, so register now and gain the full fine mineral collecting experience with the Arkenstone.